28. Internacionalni festival vrtova u dvorcu Šomon na Loari – konkurs za 2019. U toku je konkurs za Internacionalni festival vrtova u dvorcu Šomon na Loari za 2019. Tema festivala je: Rajski vrtovi. Konkurs je otvoren do 19.10.2018. Uslovi prijavljivanja su bliže objašnjeni u dokumentu Garden festival Chaumont. I contact you regarding our 2019 Garden Festival competition. I was wondering if you could relay the call for application to your network and if there was a magazine or website that you would recommend me to contact to communicate more widely this information to Serbian architects and landscapers or to students of schools of architecture and design. In case this could be possible, you’ll find enclosed the notification of international call for application. 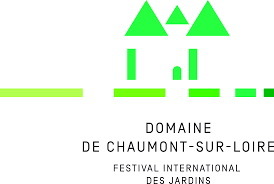 A few information about Chaumont-sur-Loire and the Garden Festival : since 1992, the International Garden Festival has been a laboratory for contemporary garden and landscape design worldwide. As a treasure trove of ideas and nursery for burgeoning talents, the Festival gives a fresh boost to garden art, appealing to the public and the profession alike by showcasing new blooms and materials and innovative approaches and ideas. More than 730 gardens have been designed in 26 years.